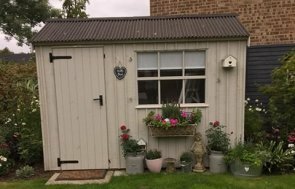 Recently installed at ‘Heelis’, the central office of the National Trust, is our Blickling Shed from the National Trust collection. 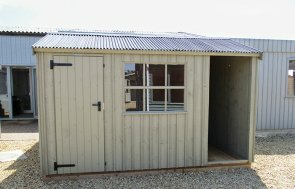 Measuring 1.8 x 3.0m and having a black corrugated roof, the shed is a charming option with a built-in woodstore. The exterior is clad in rustic-cut vertically-sawn cladding which adds to the traditional look of the building, as do the cast iron door handle and hinges. The windows are Georgian design and the exterior paint colour of Wades Lantern was selected from the National Trust paint range. Our National Trust paint range offers six different shades, each tastefully representing the colours used on National Trust buildings around the UK. Our National Trust collection consists of a range of FSC® certified timber buildings inspired by the historical properties cared for by the trust and their individual outbuildings. Not only will these buildings bring a slice of heritage to your property but in purchasing one you will also be supporting the Trust and the inspirational conservation work it carries out. 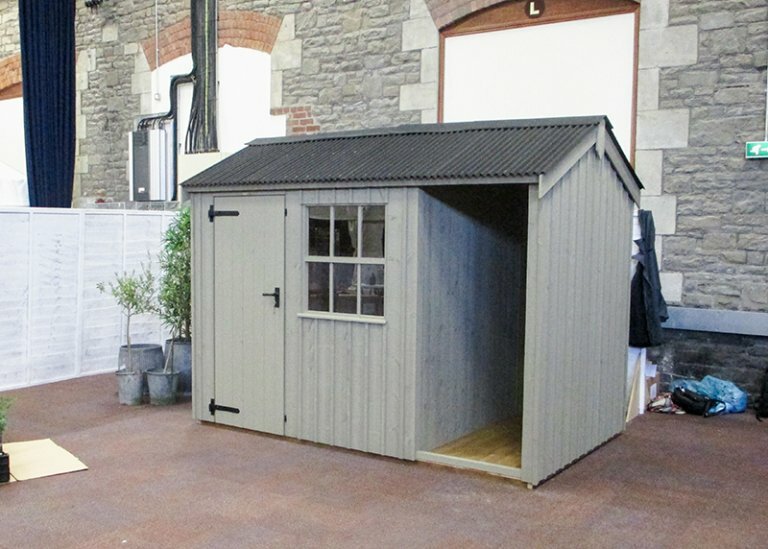 To browse our entire range of National Trust buildings, that includes summerhouses as well as sheds, please do so at our website. Alternatively you can Get in Touch or arrange a visit to one of our Show Sites.